Food, Glorious Food is the all-new, updated release of our popular, comprehensive guide to nutrient values for more than 12,000 natural, packaged, and restaurant foods. 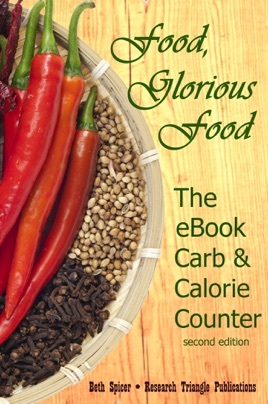 Unlike other food count books, the information in this volume has been specifically formatted for digital devices—PCs, smartphones, tablets and dedicated ebook readers. Each entry is presented in the official USDA Nutrition Facts label format, with complete counts for all categories, including our bonus measure, the "net carb" count, which is used by all low-carbohydrate diet plans, like Atkins and Eades. The various nutrient types are color-coded with resizable fonts and reflowable text, for easy reading and quick identification, and all items in the book are searchable and clickable with active, internal links and multi-layered indexes.